Join us for the FIRST BuILD NW event. It is a peer-led group focusing on a specific aspect of business leadership and personal development each month for study and discussion. (It is NOT a networking group). 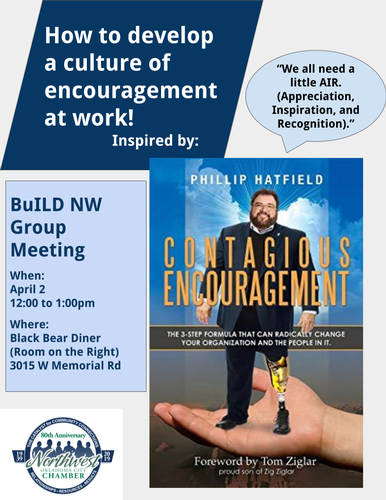 In April we'll be looking at Phillip Hatfield's book, "Contagious Encouragement".